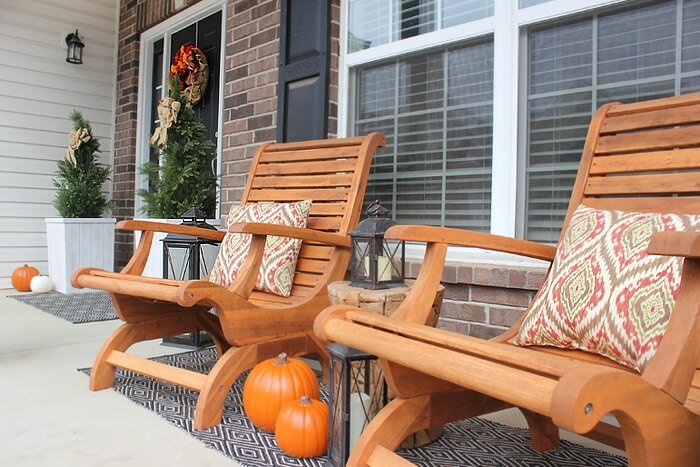 I finally got around to put the finishing touches on my Fall front porch over the weekend. I was basically waiting for the weather to break from the crazy 90 degree heat before I purchased my mums. 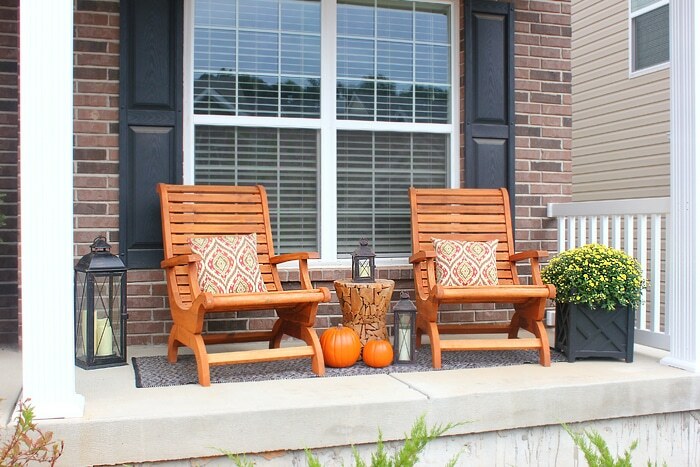 So thankful that the first weekend of October did not disappoint and now my front porch is officially ready for Fall. I kept most of my key pieces from my summer front porch design; I just changed out a few things but it really made a difference! Of course I had to add some pumpkins to the mix. 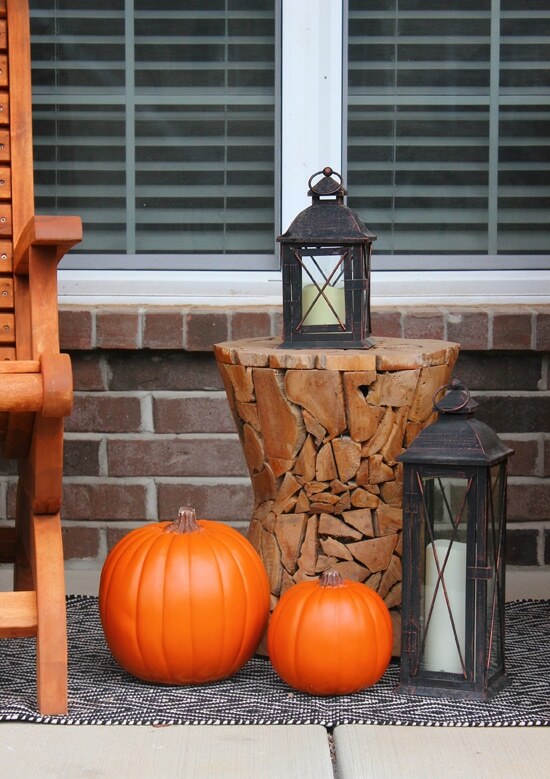 I opted for fake pumpkins for now from Michael’s (scored them for 50% off). I’ll switch out the fake ones once we head to the pumpkin patch in a few weeks with the family. 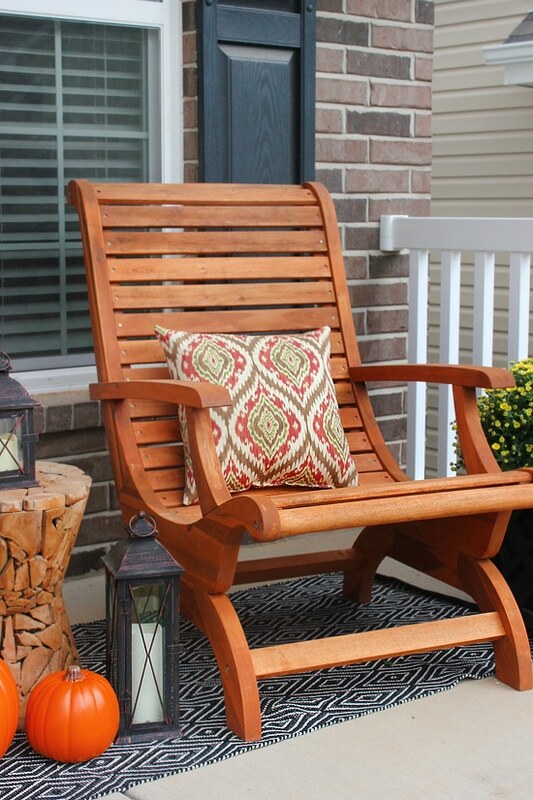 I added some new outdoor pillows from Lowe’s. 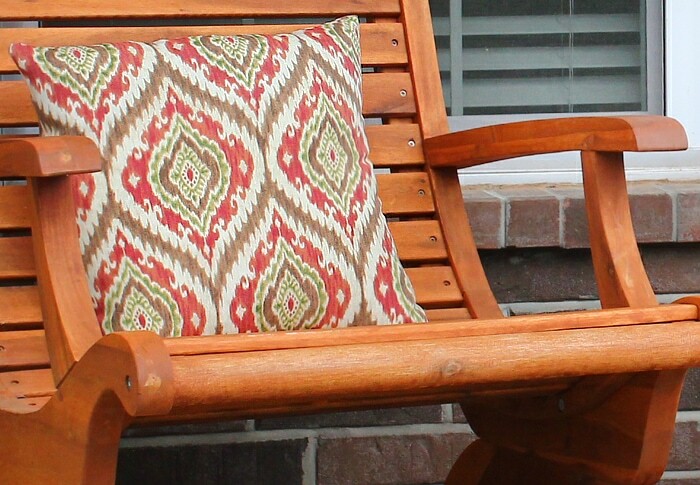 I love the mix of reds, greens, and browns with the orange hue of the adirondack chairs from Heyneedle. I kept the black and white rugs in place as well. I figured the black and white kind of went with the October fall theme, right? Plus I was just too cheap to buy something new! The front door got a little love, too. 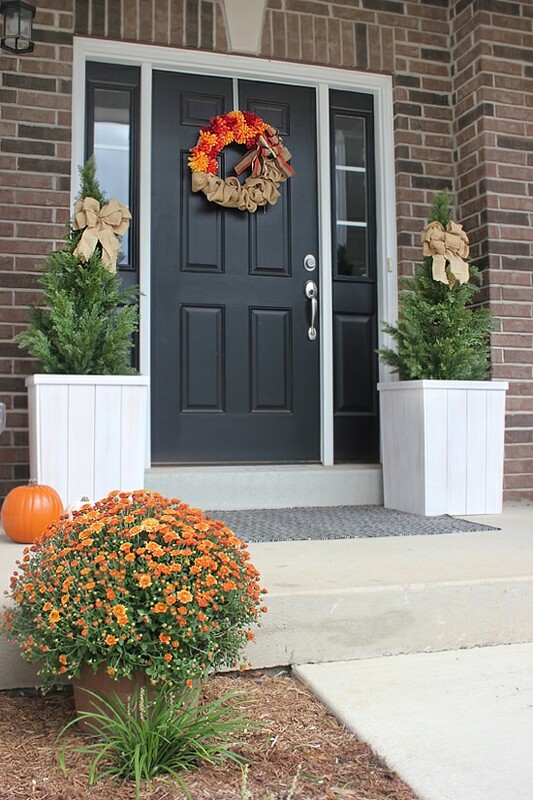 Some pumpkins, a huge orange mum, and some burlap bows around the evergreens in my planters. 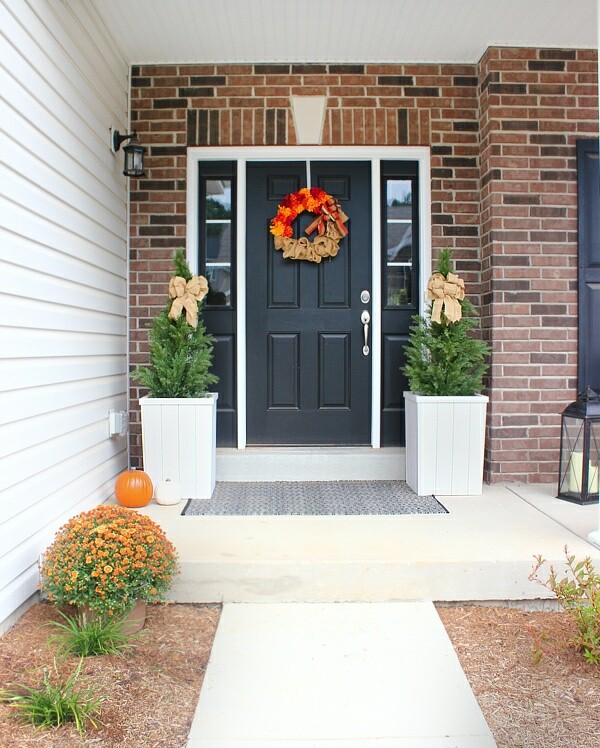 I also hung my fall burlap and flower wreath on the front door. 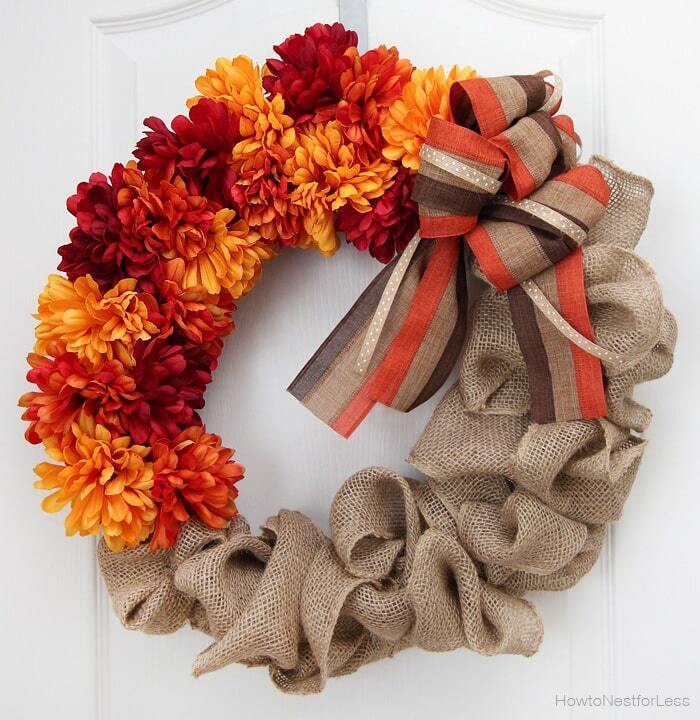 I made this wreath 2 years ago and still love it! Plus I like how it tied the burlap bows on the evergreens into the design. Seriously those planters were the best purchase I ever made for my exterior. 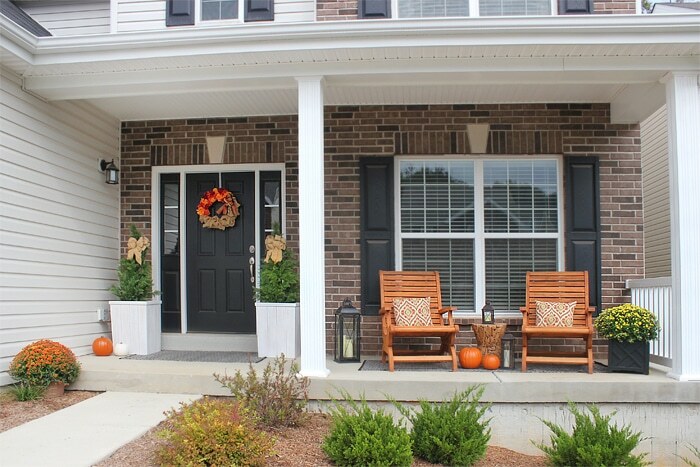 They really finish off the front porch and are fun to decorate for each season. And I love that this design will last me through Thanksgiving. Let’s just hope I can keep my mums alive that long. Found some inspiration for my house! where did you get that cute little table on the porch. the one between the chairs.?? ?